From the moment school let out and I was "officially" on break it's been a whirlwind of excitement and holiday fun around here! 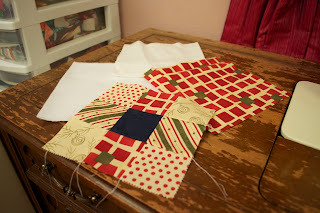 I finished my Christmas shopping, I've been visiting with friends, I've gotten to do some obedience and agility work with Tally, and still have managed a little sewing! 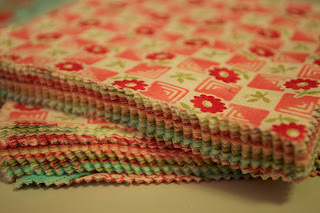 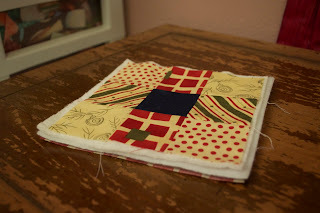 I've started on my friend Ruth's quilt - Vintage Bliss - a simple and charming 5 inch charm square oversized lap quilt featuring Moda's Bliss! 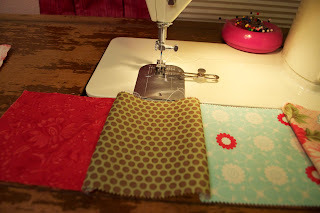 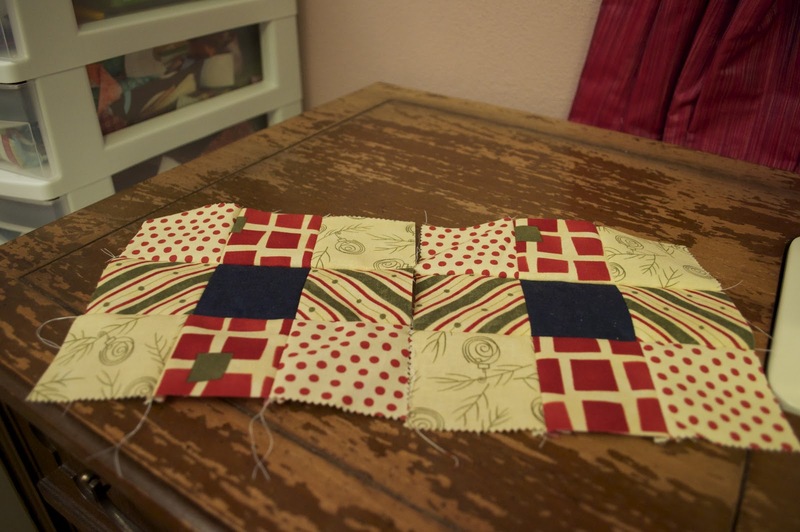 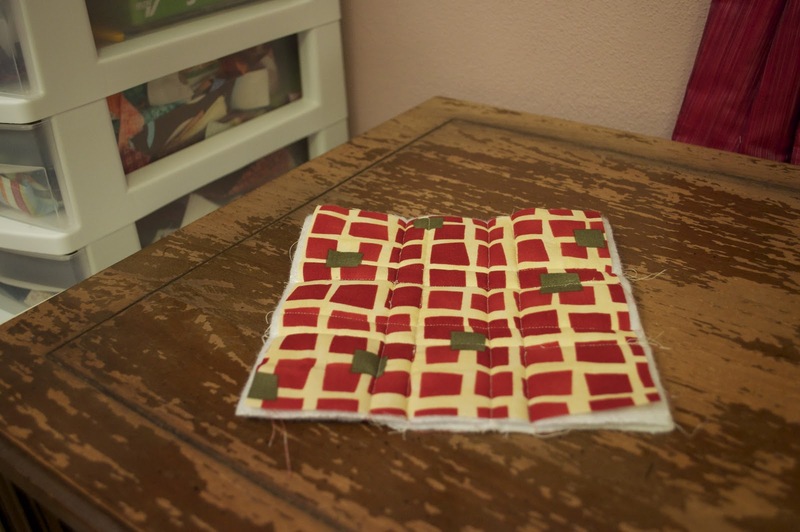 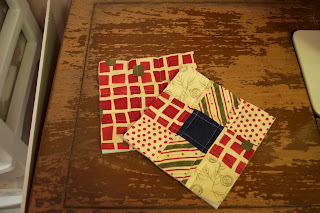 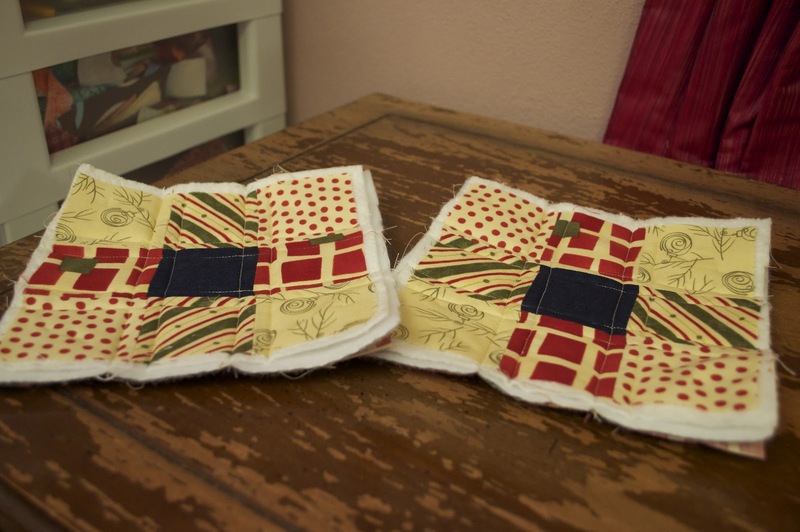 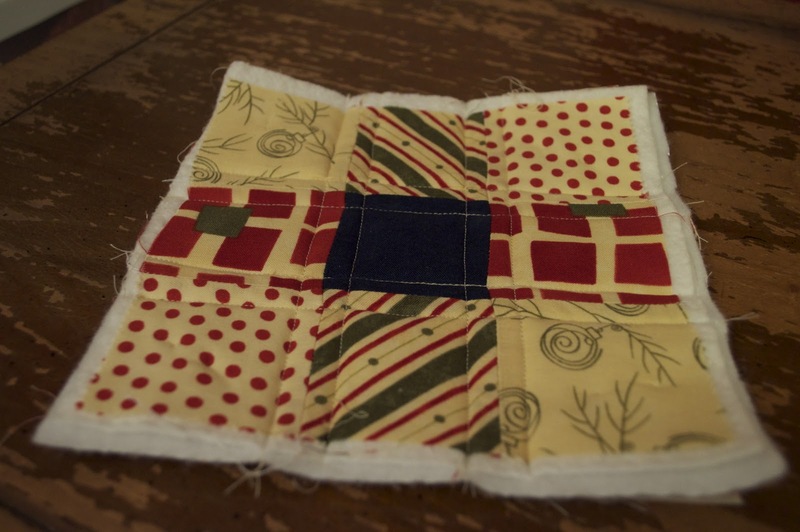 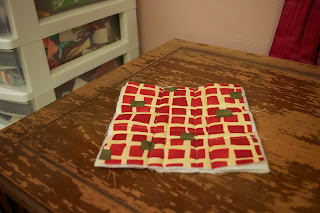 I also decided to try something that would continute teaching me quilting with my walking foot and learning binding - a potholder! 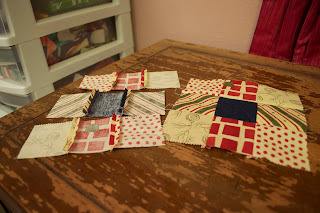 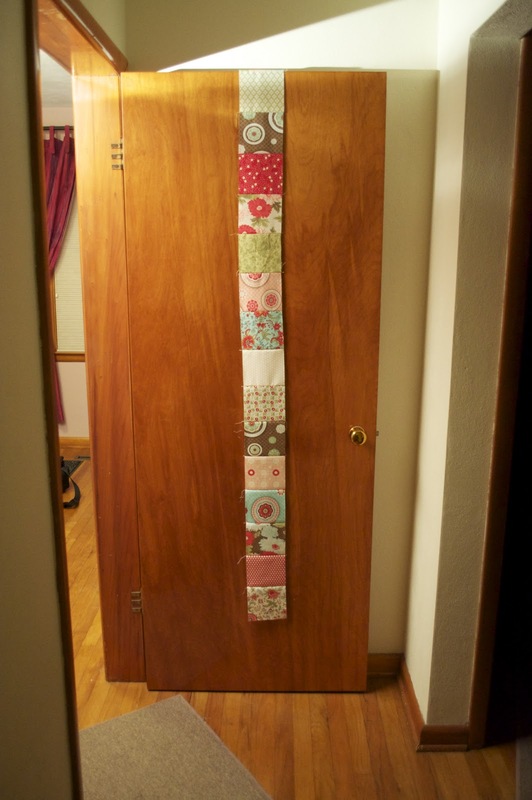 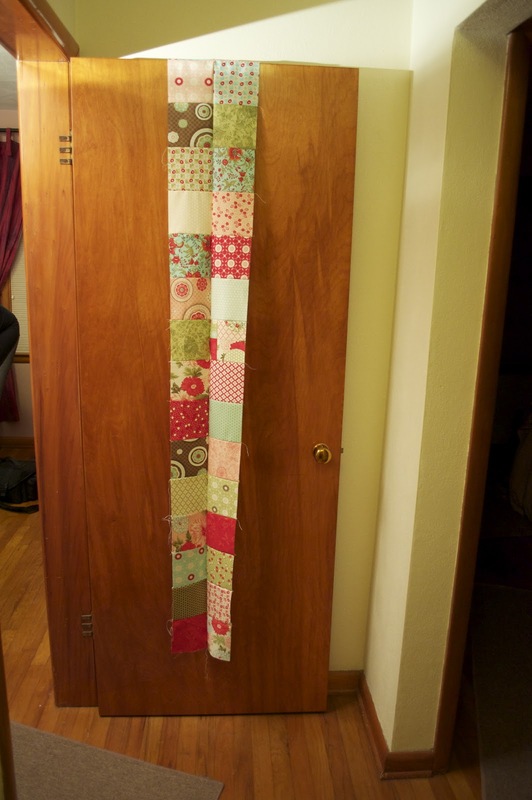 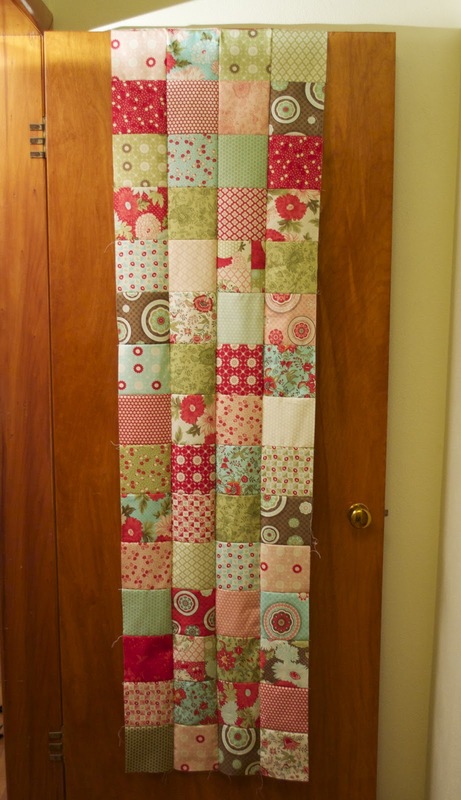 I decided to use some scraps from a Christmas quilt I did last year and make the front a 9-patch with the coordinating back. 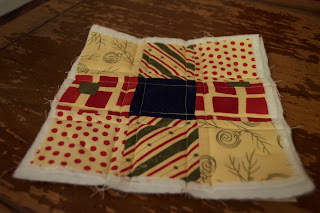 I've quilted it 1/4 from each seam, giving it a little grid-work feel. I haven't done the binding yet, but overall I'm pretty pleased with how this came out so far.